OPAL Translation provides a secure and fast Turkish translation service for individuals. Our Turkish translator services are available from Turkish to English and English to Turkish. We can provide fast and reliable Turkish translations of your immigration documents that are NAATI certified. Can you provide a NAATI accredited Turkish translation service? Yes, we certainly can. Our Turkish translators are all NAATI accredited professional Turkish translators. Our Turkish NAATI translators are ready to assist with all your Turkish translations today – why wait? We need Turkish translations fast. Can you help? We can provide you with an express Turkish translation if necessary. Please note that a surcharge is applicable for this service. Fast translation services is a strength of OPAL Translation – the true leaders in Turkish translations in Australia. The majority of our Turkish translations are finished and sent back to you via email within 2-3 working days. Also need a hard copy? No problem. Let us know and we will mail one out to you. Most standard Turkish documents are priced at a flat rate per document. Simply choose your speed. Pricing below is for indicative purposes only. For a firm quote please send us an enquiry via our enquiry form with scans of your Turkish documents. OPAL Translation offers a high quality and accredited professional Turkish translator service for Australian businesses and government organisations. Our Turkish translation services are available from English into Turkish and also Turkish into English. Our Turkish document translation service team are highly qualified and experienced translation professionals. Our Turkish translators have expertise in a range of subject matter areas including medical translations, health translations. marketing and communications, legal translations and immigration document translations. Our Turkish translation team are fully accredited by NAATI which means they are qualified and certified Turkish translation professionals. Due to this reason, our Turkish translators are sought after by many of Australia’s leading businesses and government organisations. The price for the document translation of Turkish documents is largely dependent on a number of factors including how soon you need the translation, the technical nature of the documents and the availability of Turkish translators. As such, please see the below pricing for Turkish document translations as an estimate only. These show different options depending on the technicality of the documents and whether you want a second translator to check the translation, for additional quality. For a firm quote on the translation of your Turkish documents, please submit an online enquiry for with your documents attached and we will be in touch. Turkish is written using the Latin alphabet. It is almost similar to Fin-Hungarian languages and is a part of the Ural-Altaic language group. The Turkish language has a lot of influence on other languages and dialect’s development. In fact, it has replaced several Indo-European languages. As much as 90% of the Turkish population uses the Turkish language in their oral and written communication. The Türk Dil Kurumu (also known as Turkish Language Association) monitors the usage of the Turkish language around the world in order to maintain the purity of the language in spoken and written forms. 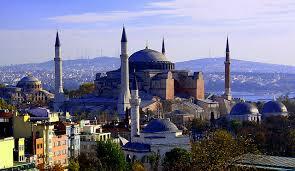 The official language of Turkey is the Istanbul Turkish which has been used ever since the 1930s.